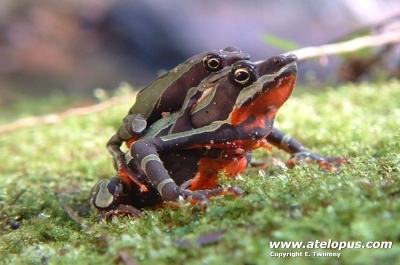 Atelopus pulcher - male on top of the female. 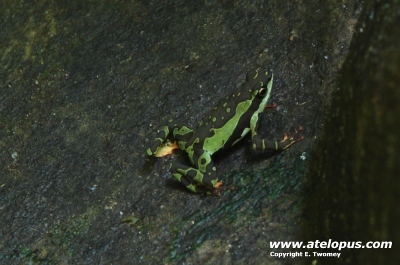 Atelopus pulcher. "Chayauitahs ... near the margin or Río Puma [sic] (5° 5´ S, 76° 10´ W), and about 40 miles north of Balsapuerto", Peru. 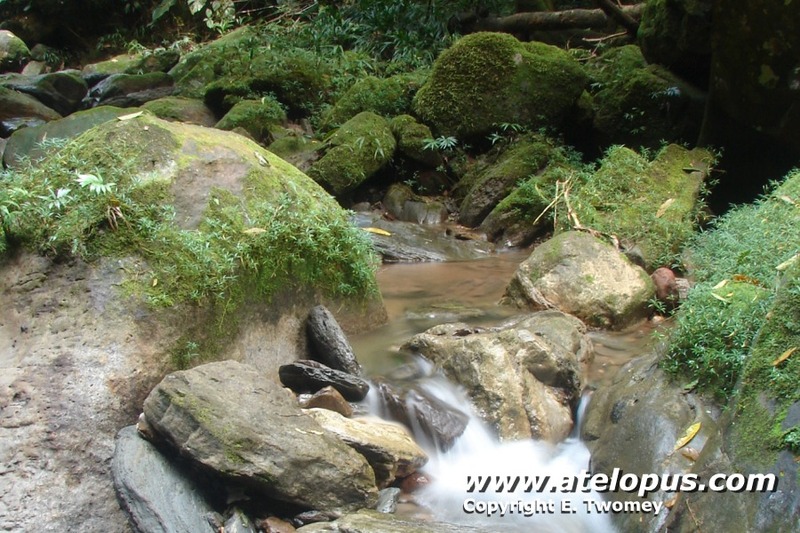 This species is distributed along the lower Andean versant in the upper Río Huallaga drainage, Departamentos San Martín and Loreto, Peru. 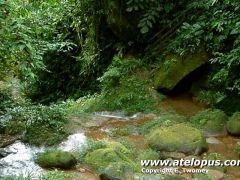 It is present at approximately 600-900m asl. 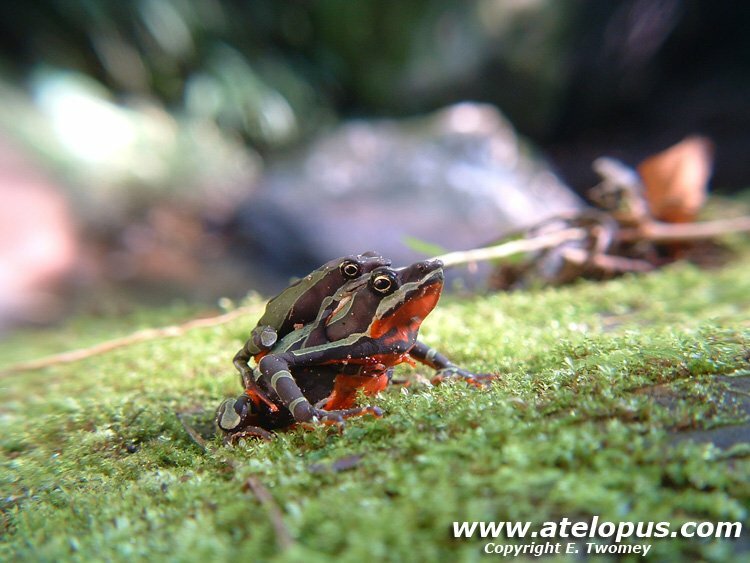 There are populations resembling this species from the north-eastern versant of Peru and adjacent Ecuador, but these are not included in this account until their taxonomic status can be more conclusively verified. 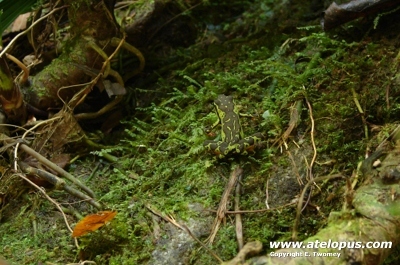 The population status of this species is actually not known although it was recorded as late as july 2004. It seems like this species has disapeared from many known localities. 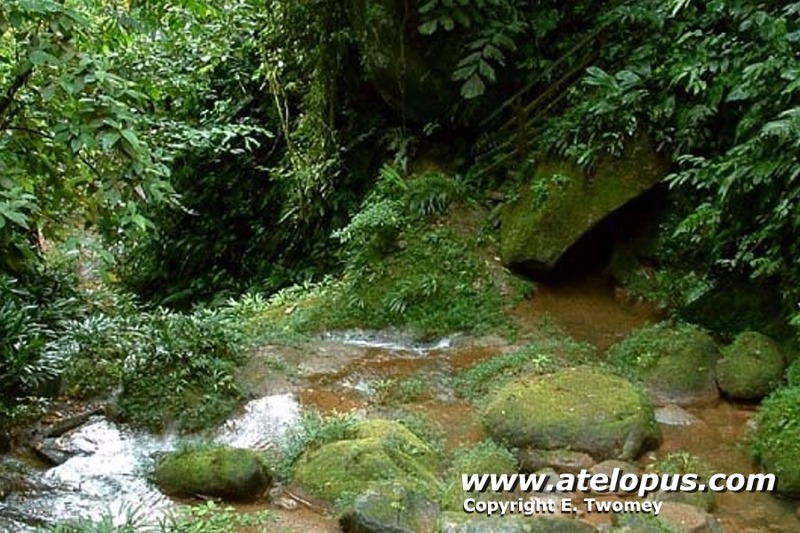 This is a terrestrial species of tropical lowland and premontaine tropical forest. 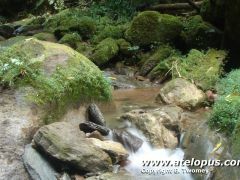 Breeding and larval development takes place in forest streams. It's not known how adaptable the species is to habitat modification. More information about this species had been appreciated. If you have something to share, please contact us. 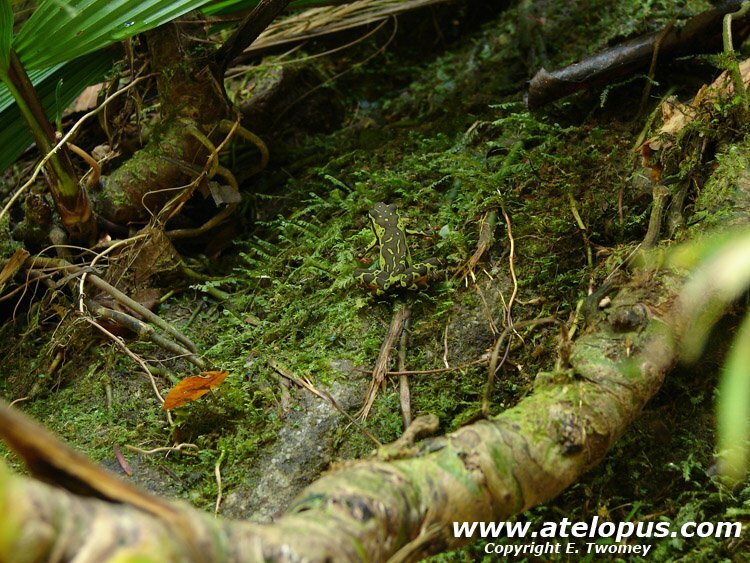 More on the Atelopus from western South America - Juan A. Rivero. PDF accessible. 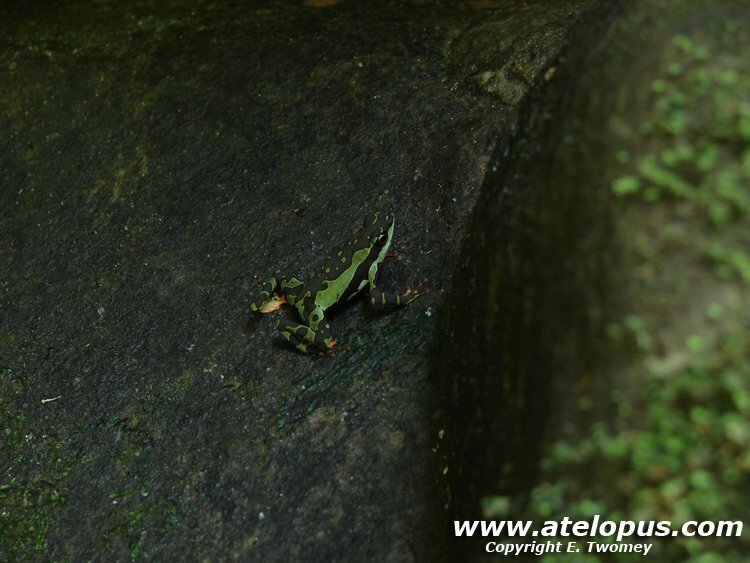 Five new species of Atelopus from Colombia, with notes on other forms from Colombia and Ecuador - Juan A. Rivero PDF accessible. Stefan Lötters 2006. 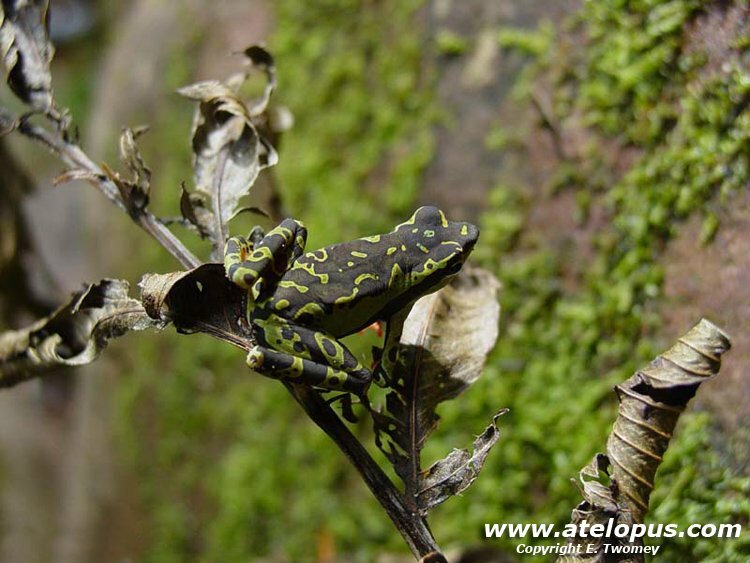 Atelopus pulcher. The IUCN Red List of Threatened Species. Version 2015.2. <www.iucnredlist.org>. A. pulcher in Cainarachi, Peru.